Acer Launched two new Android based mid-range smartphones in Indian market, called as Acer Liquid E1 and Acer Liquid Z2. Both smartphones are loaded with Android v4.1.1 Jelly Bean operating system and powered by 1.0 GHz Dual-core processor. Acer Liquid E1 priced at Rs. 12,000 INR but the price of Liquid Z2 currently not available. 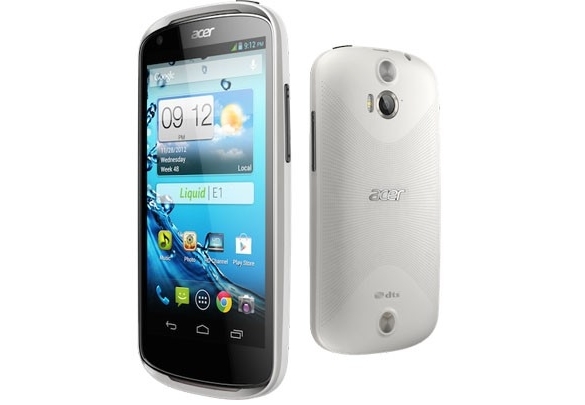 Acer Liquid is a 3G Android smart phone. Dimension is 136.0 x 68.5 x 9.9 mm and 130 gm weight. It come with 4.5 qHD capacitive touchscreen display with IPS technology, 960 x 540 pixel screen resolution and 16 Million colors. This droid runs on Google's Android v4.1.1 Jelly Bean operating system and powered by a 1.0 GHz Dual-core processor with 1 GB RAM and 4 GB internal storage. Memory expandable up to 32 GB via MicroSD card slot. 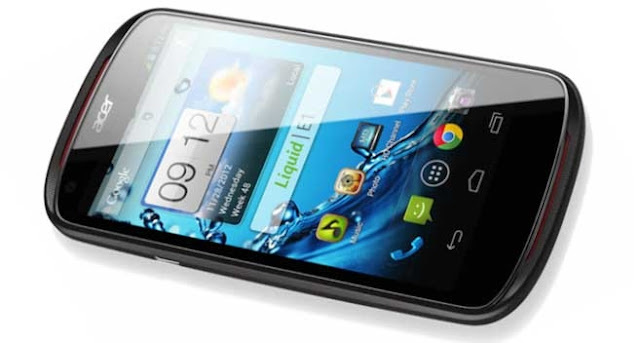 Liquid E1 sports Dual cameras; 5.0 Megapixel rear shooter with Digital Zoom, Auto focus, LED flash features and a 0.3 Megapixel VGA front facing camera for making video calls. It features connectivity options through Wi-Fi (802.11 a/b/g/n), Bluetooth v.3.0 with EDR profile, GPS (A-GPS), EDGE, 3G, USB port. This smartphone come with 1760 mAh Li-Ion battery; it give up to 400 hrs stand-by and up to 8 hrs talk time. For entertainment needs it loaded with Music player, Video player, FM radio, Games, Ringtones, and even more.